If you need to change options of your router you usually start your browser and start typing in the routers' IP address. But what is the routers' IP adress? And what is my computers IP adress? 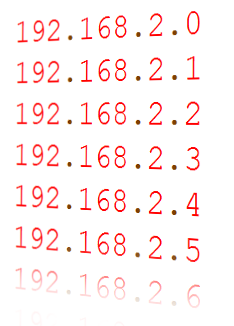 Luckily it is fairly easy to find out what these IP addresses are like when using the Windows CMD command line interpreter. Make sure you have administrative rights. Note: You may have more than one Ethernet Adapter and therefore the resulting output may be longer. The IP address of "Standardgateway" is the Routers IP address. Use this address in your internet browser to access the routers' webinterface. The IPv4 and IPv6 addresses are the addresses of your computer.